This week has been a great garden week. 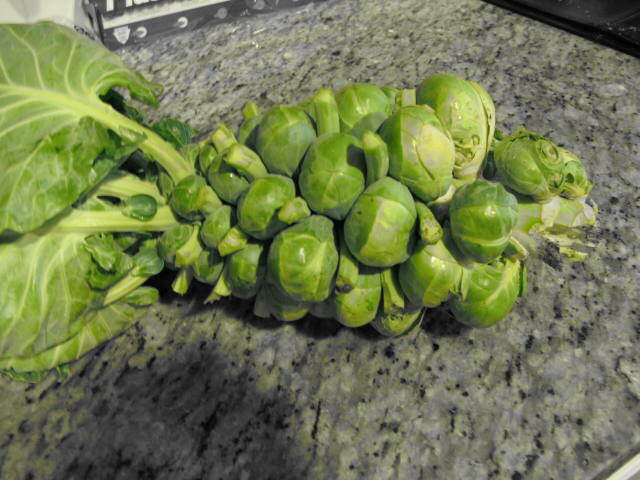 Tonight we finally picked our one and only brussel sprout plant. It took me about 5 minutes to get the root out of the ground. I now know why they are in the store/farmer’s market w/ all of their stems missing … they all rip off when you are trying to uproot the plant 🙂 I cooked the brussel sprouts with some bacon, onion, butter, and lemon. mmmm! Last night we had a salad with the mesclun mix that I grew from seed. I also threw in some home- grown carrots. Sunday we had spaghetti with all fresh herbs and more carrots. I also pulled one of the heads of cabbage and started a batch of sauerkraut. I have never made this before and am excited to see if it turns out. It is so simple to make. 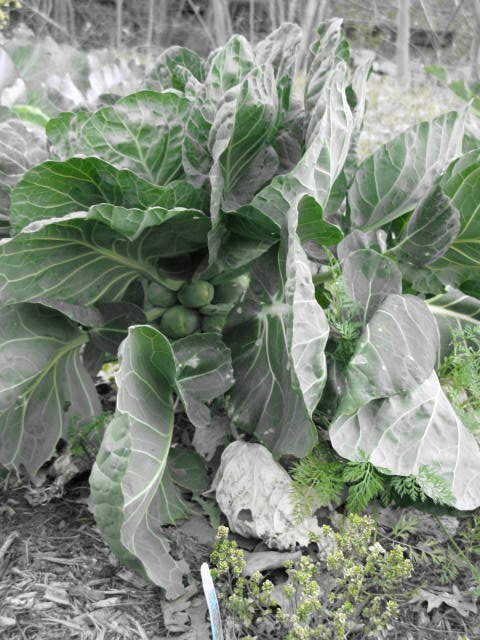 I can’t wait for summer veggies!